The ColourPop Zingara Quad ($18.00) is part of the beautiful fall collection ColourPop recently released. Now that I have had time to bask in its glory, it's time for a report. 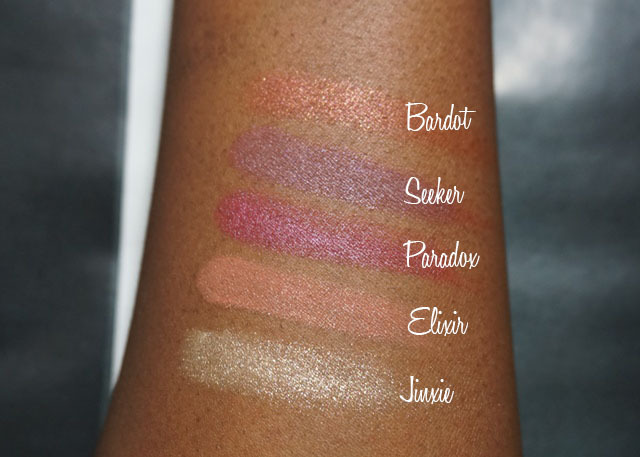 I initially wanted Seeker, Elixir, and Paradox, but saw that as a set, I could get the beautiful Jinxie at a discount so I just went ahead and purchased Jinxie, along with the extremely beautiful Bardot Blush, and two lippies, which I will review separately. The colors on the lid are much more vibrant than the swatches captured. If you have oily lids like me, it wouldn't hurt to wear primer underneath. I found myself reaching for Elixir more than the others. Jinxie works well for many purposes, such as inner eye highlight, brow bone, and even in the center of the lid for a pop of sparkle. These wore well on me without creasing for about 6 hours before I noticed separation. I ran my finger across the swatch and none of it budged so if your lids aren't oily you should be a-ok with these shadows. Bardot is a winner on all fronts. Use a light hand and gradually build with this blush. I have a few ColourPop blushes, but Bardot behaves differently; it reminds me more of a pigment rather than a blush because of how pigmented it is. I lazily swabbed my brush across the surface and applied to my face and realized I had put way too much. 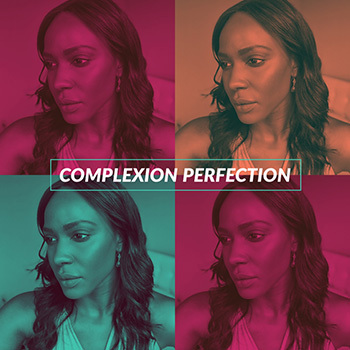 It's a very beautiful bronze-terracotta on my dark skin and doesn't take much effort to show up. I would love to see more matte blushes from ColourPop and more that behave in this fashion.